Do your blues guitar licks sound sloppy because the strings you aren’t playing ‘ring out’ unintentionally? You’re not the only one – many guitarists struggle with this same issue. Before you can play your licks with great passion and expression, you MUST learn how to eliminate this extra noise while also playing with a high level intensity. For most guitarists, unwanted string noise frequently occurs while playing blues licks and using wide vibrato, double stops or extra power in the picking hand. You must master the ability to play cleanly while using these techniques, otherwise your blues guitar playing will never sound as self-expressive as you want it to. After you’ve finished the video above, grab your guitar and complete these steps to make your blues guitar licks sound truly mean (without sacrificing cleanliness or accuracy). It is very critical that you only create guitar licks with no more than three notes maximum. By using a limited number of notes, you will have no choice but to think creatively about achieving maximum expression in every note you play. This will help you become more musically expressive (increasing the quality of your licks). This is also important because it will help you focus on using proper muting technique to keep your phrases clean. Also observe how I did not notate the rhythm in the examples I provided for you. You are free to think creatively about the rhythms you use while playing these examples. Additionally, don’t play all of these licks at once, choose ONE and practice it many times until it becomes second nature. As you play through your lick, make sure the last note you play ends with an ‘upstroke’. You will see the importance of this in the next step. 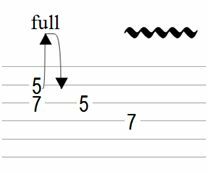 Step Two: Pay close attention while using an upstroke to play the last note of your blues lick to make sure it comes to rest on the adjacent lower string. This uses the ‘rest stroke’ technique demonstrated in the video above. It is a common mistake to let the pick to come away from the strings while doing this, so make sure this is not occurring for you. To avoid this, rest your hand on the strings using either palm muting or thumb muting in your picking hand (I highly recommend you use thumb muting in the same way it is used in the video demonstration). Take several minutes to practice this. Step Three: Now, use the available fingers of your fretting hand and picking hand to mute the strings that could be vibrating as you are playing the lick. 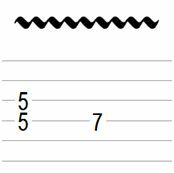 See images of how this is done by reading this article with advice on how to eliminate sloppy guitar string noise. Again, work on this for a few minutes before moving on to the next step. Use very heavy vibrato to emphasize any sustained notes in your lick. While playing double stops, use heavy vibrato on both strings simultaneously. Use as much power as you can in your picking hand by using A LOT of force to strike the strings. While using a lot of power to pick the notes, you will see the importance of muting with the techniques you learned in the previous steps. If you are still having issues with unwanted string noise, return to the previous steps to fix the problem. Don’t worry if you cannot play your licks perfectly without any string noise yet. Be patient, practice and you will quickly be able to incorporate your lick into your everyday guitar playing and make it sound great. 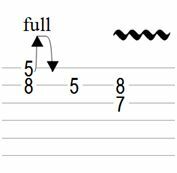 Step Five: Once you have mastered playing your lick with both power and accuracy (no excess string noise), think of 3-5 additional phrases and follow the previous steps to make many more killer blues licks. Make your guitar licks even more creative by using the powerful concepts in this cool rock guitar licks video. Wish you could play faster to make your blues licks sound more badass? 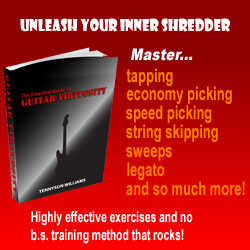 Watch this video on how to build guitar speed. Tom Hess is a highly successful guitar teacher, recording artist and virtuoso guitar player. He teaches guitar players from all over the world in his online guitar lessons. Visit his website tomhess.net to get free guitar playing resources and to read more guitar playing articles.